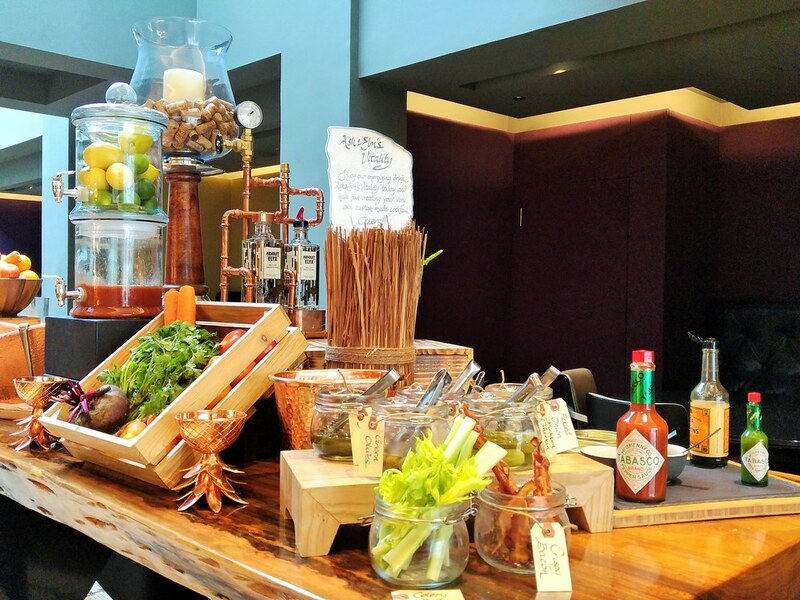 Ash & Elm at InterContinental Singapore introduces a new Sunday Brunch buffet menu, conceptualised to showcase all their three culinary theatres - Charcuterie & Cheese Room, Wood-Fired Oven and Charcoal Grill. 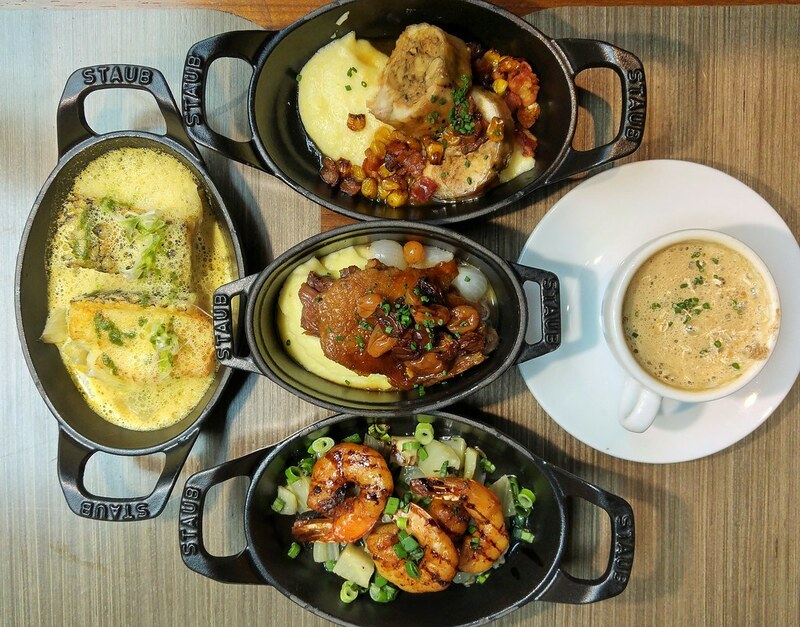 With static buffet counters replaced by theatre-style cooking stations, this European themed restaurant sets to make buffet dining an experiential one for you. For pizza fans, I guess nothing beats those that come freshly out from Wood-Fired Oven, for that unique smoky taste imparted from the fire woods. A range of healthy breads are available too. Their appetiser bar is one of my favourite stations. In particular, I like their tangy Beef Tartare, which was extremely light. The creamy and savoury, Egg Mimosa as well as the refreshing Pomelo Salad that comes with a nutty crunch. 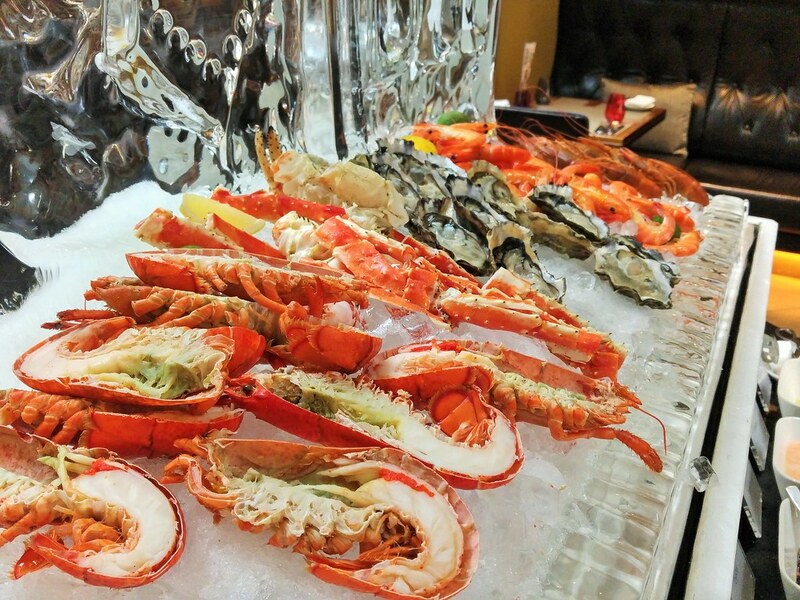 What is notable at their grand seafood corner is definitely the Alaskan King Crab. A range of dips are available to elevate the subtle sweetness and oceany taste of these fresh seafood. 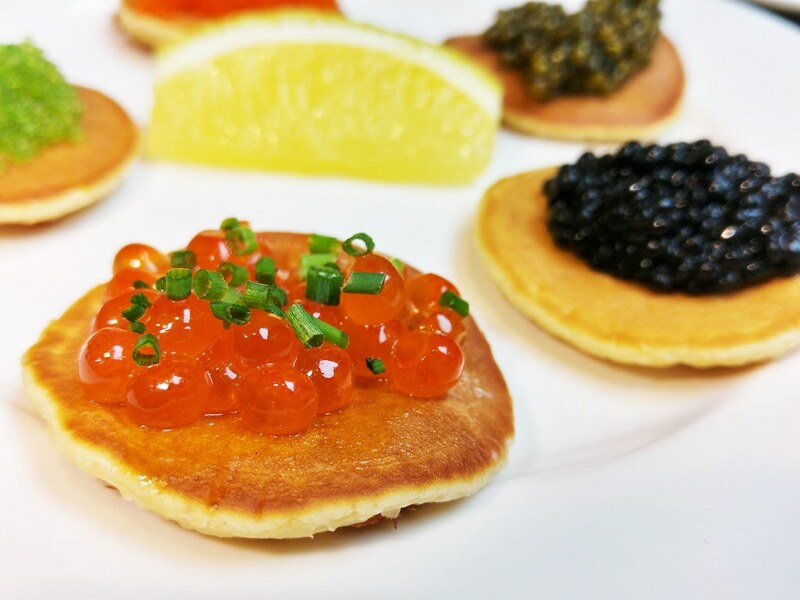 I learnt that the Russians taught us to serve caviar with Blinis, the mini pancakes placed besides the caviar counter. A glass of their Perrier Jouet Champagne certainly enhanced the enjoyment of these lavish scoops of luxury. 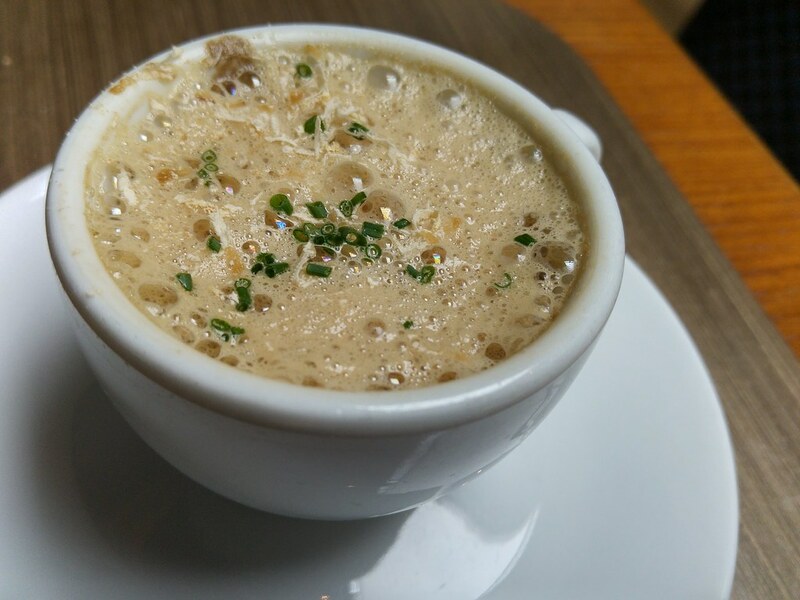 Their Eggs Cocotte at the Egg Station is a must-try! Though it may easily be overshadowed by its meat counterparts. 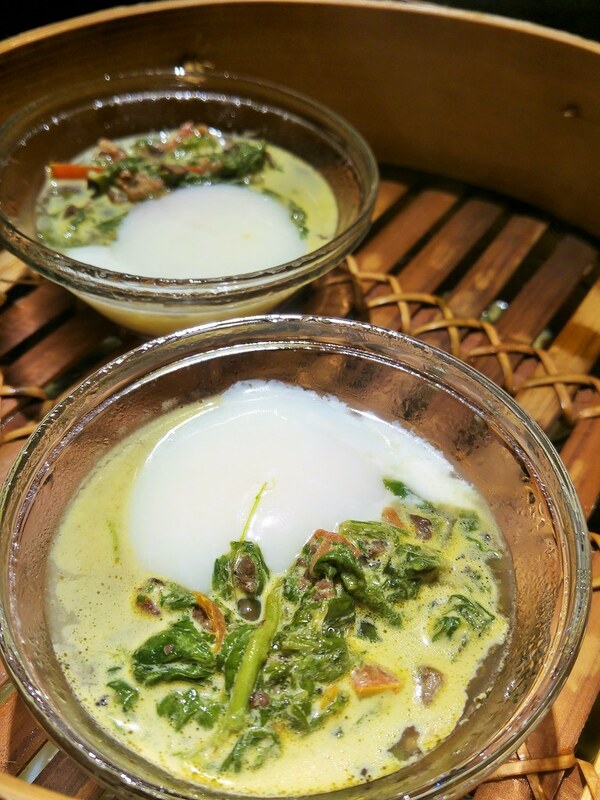 The combination of the warm, earthy and creamy morel sauce, the spinach, and the oozy warm egg yolk, surprised me with their hearty flavours and delighted my taste buds much more than a regular egg benedict. 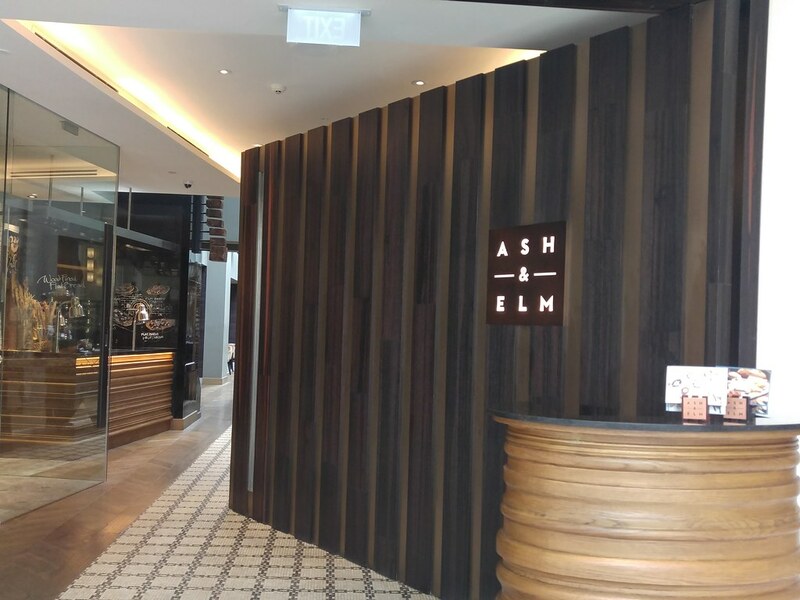 Designed to showcase their culinary theatres, Ash & Elm's Sunday Brunch ensures hot and piping dishes serve to you, done a la minute, which is really rare for buffets. 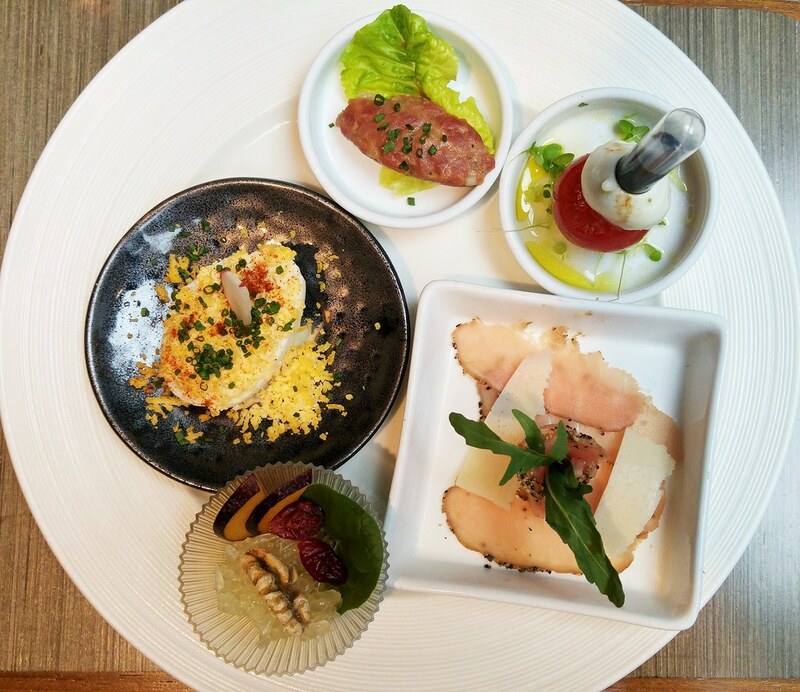 Apart from starters, you have a selection of premium meats, seafood and pasta dishes. The best thing is that they all come in petite portions and unlimited servings. My food orders set the kitchen in heightened motion. From my seat, I had the privilege of watching the chefs in action. That's the beauty of an open kitchen. I ordered 3 to 4 items each time and surprisingly the waiting time was short. I adored this piece of princessy foie gras. I'm always not that comfortable to have a big slab of foie gras right in front me, hence their dainty version suits me best. 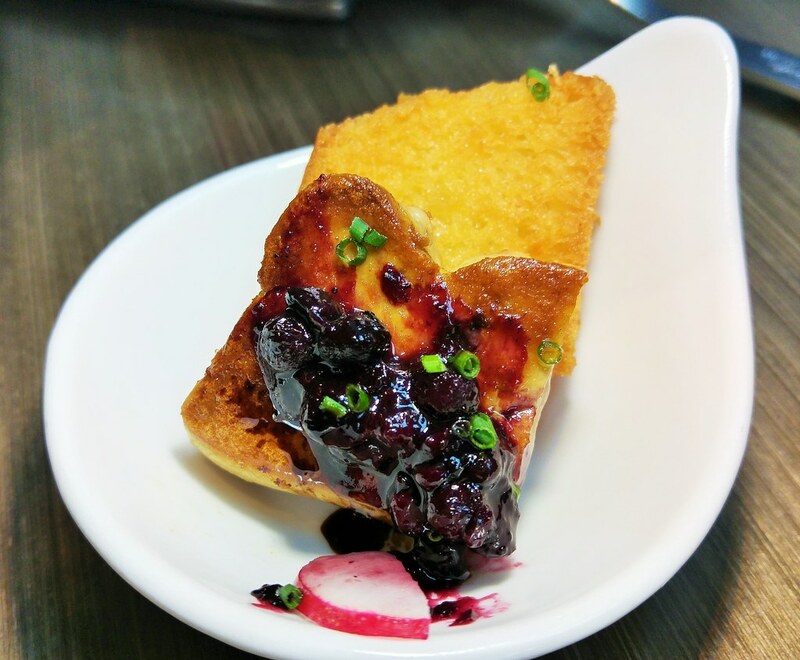 Paired with blueberry compote, it is a joy to savour it bit by bit. 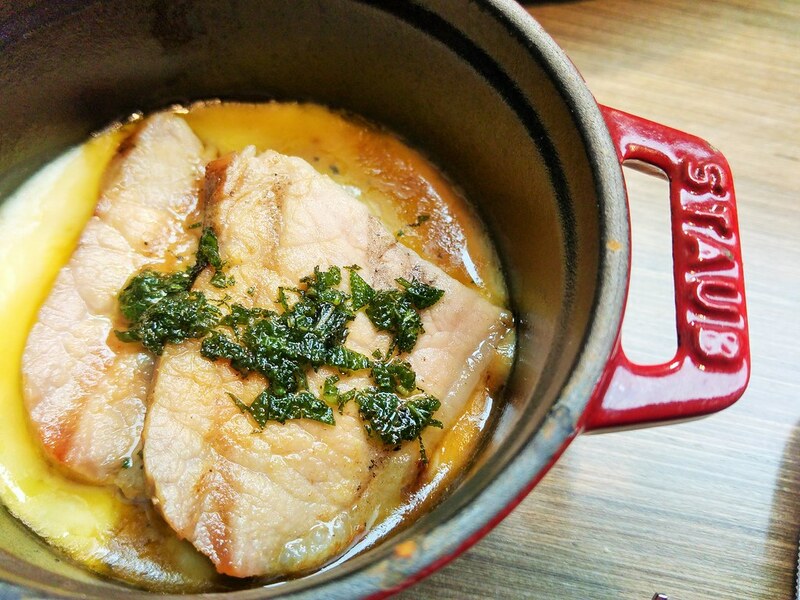 One of the restaurant’s signature is Chargrilled Iberico Pork Loin from the charcoal grill. As the pork loin itself has very little fats, hence be sure to eat the tasty charred fats lining, which imparts a smoky sweet flavour to the lean meat. Their Cod Fish, with crispy sides and buttery meat, is my favourite. 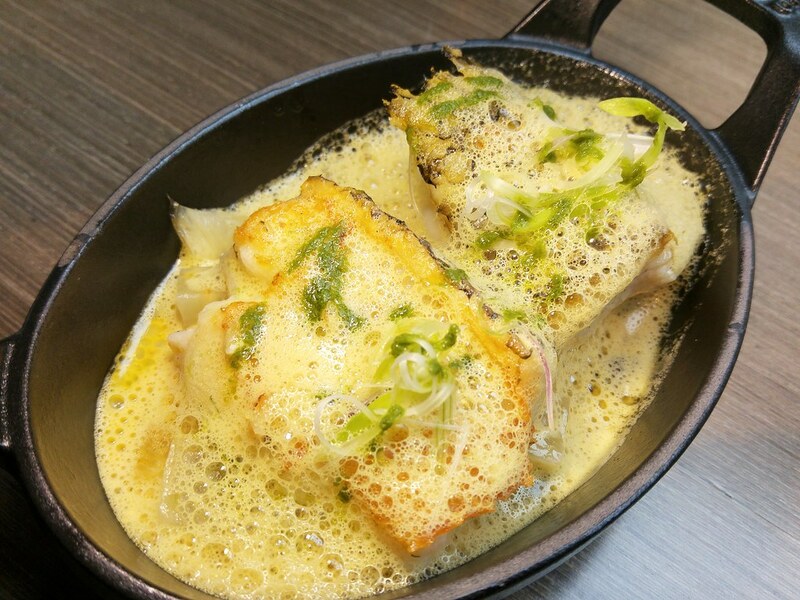 The fennel confit was delicious with flavour from the saffron sauce and richness oozed from the baked cod. 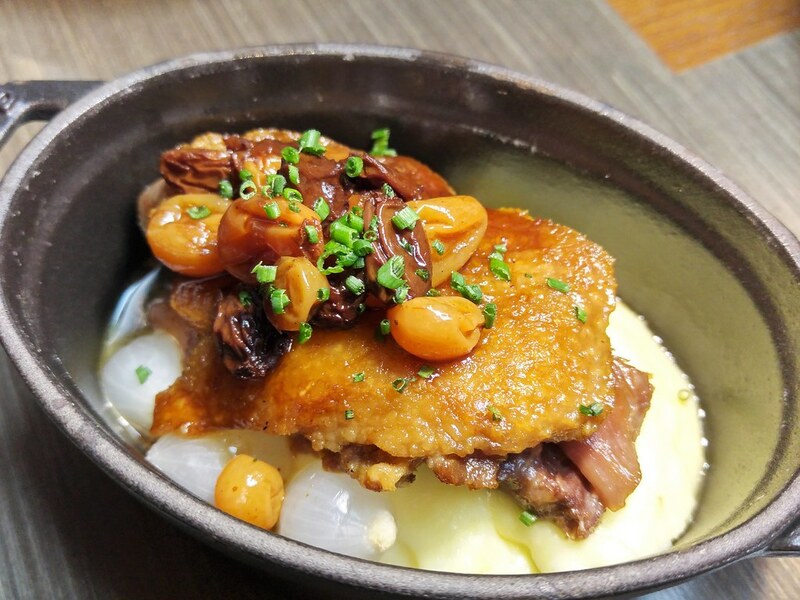 I was amazed that Duck Confit could be done petite size too. The duck meat was tender with skin beautifully crisp. I really like the sauce that glazed over it, seemingly to be red wine raisin which complements the richness and flavour of the meat. The mashed potato after taking in the fats drained into it, was tastier than ever. 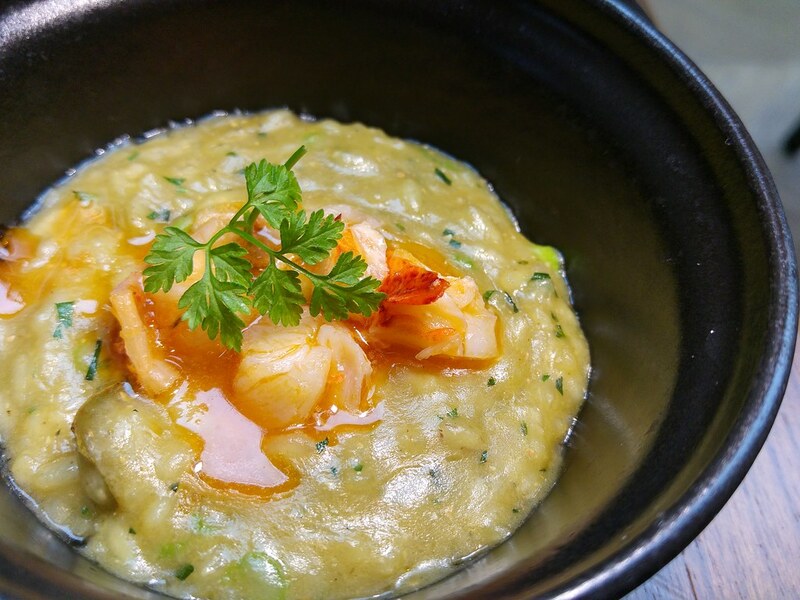 Seafood is not my ideal ingredient for risotto, but I like the consistency and texture of the rice. It was creamy with a firm bite without any hard center. The melt in the mouth texture of their Braised Beef Cheeks reminded me of the one I had in an authentic French restaurant a couple of years back. 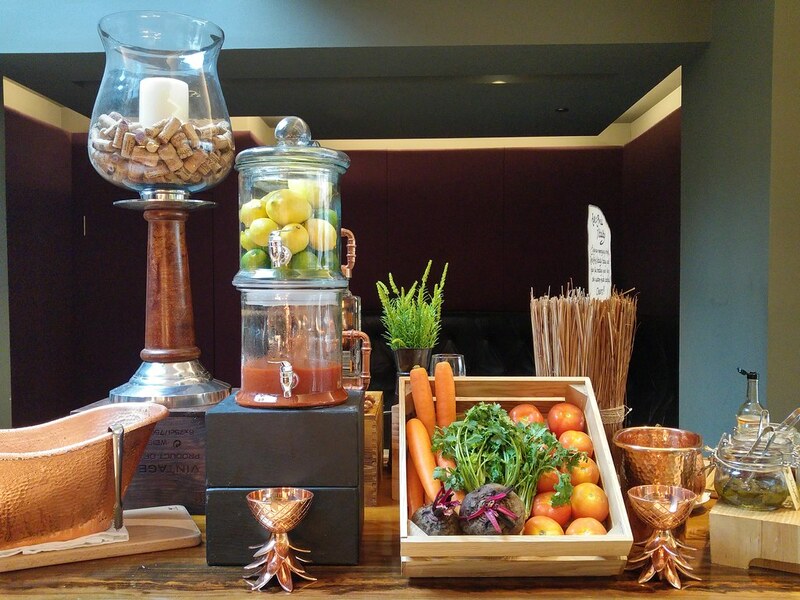 To be able to savour the same quality, in a buffet setting, that is really unexpected. 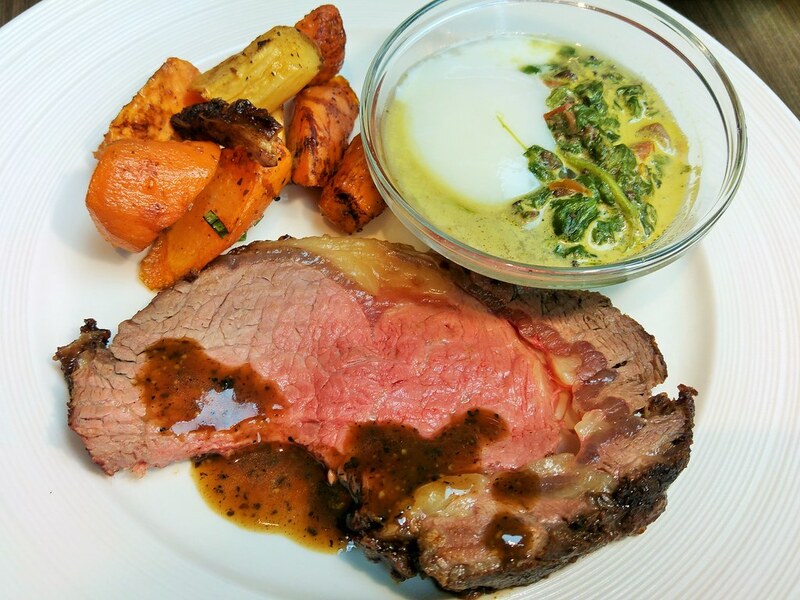 Steaks, sunday roasts are common, definitely not beef cheeks with such fine execution. Perhaps a little salty, but the mash made it right. 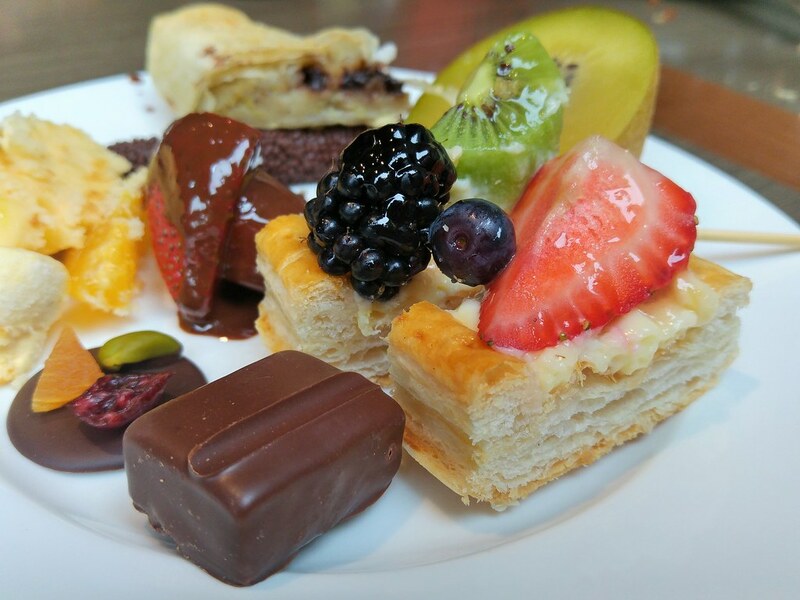 Their dessert station is lined with pretty cakes, pastries, adorned with colourful macarons, and not forgetting the quintessential chocolate fountain. Apart from the ready made items, there is also a crepe counter where you get to choose your own toppings. Their crepe was soft and fluffy, and comes in a petite size too. Be sure to get scoops of their gourmet ice creams! All guests will have the privilege to gain a walk-in-access to the Charcuterie & Cheese Room. 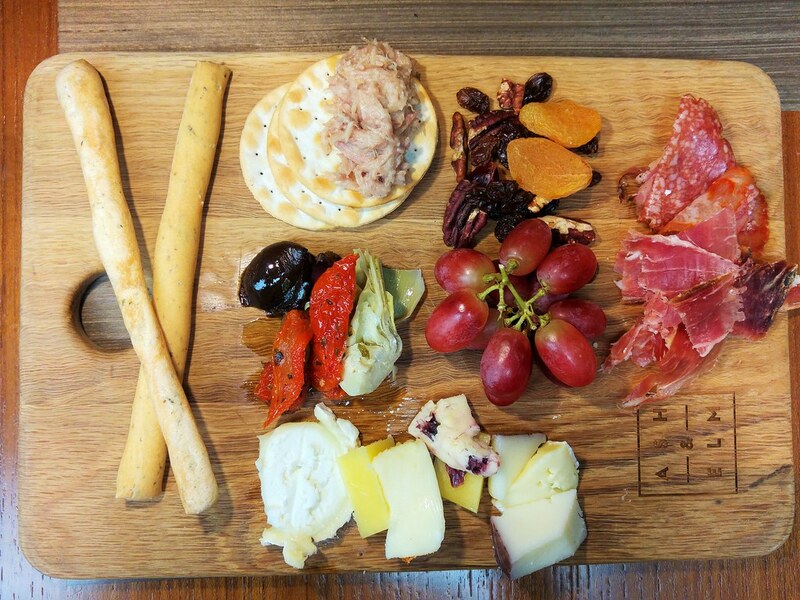 Impressive range of cheeses and in house cured meats for you to create your own cheese board. Unlike commercial cured meats which are often dry, salty and one dimensional in flavour, theirs are more complex in flavour with a more chewy texture. Apart from the usual nuts and dried fruits, Italian antipasto are also available such as sundried tomato and artichokes. I had a lot of fun plating it myself! I feel the way how this Sunday Brunch has been set up, allows me to appreciate my food more. Buffets usually have rounds and rounds of table to dazzle their diners, and very often, plates and bowls of food items grow cold and go to waste at the end of the day. However, over here at Ash & Elm, quality definitely speaks volume over quantity. 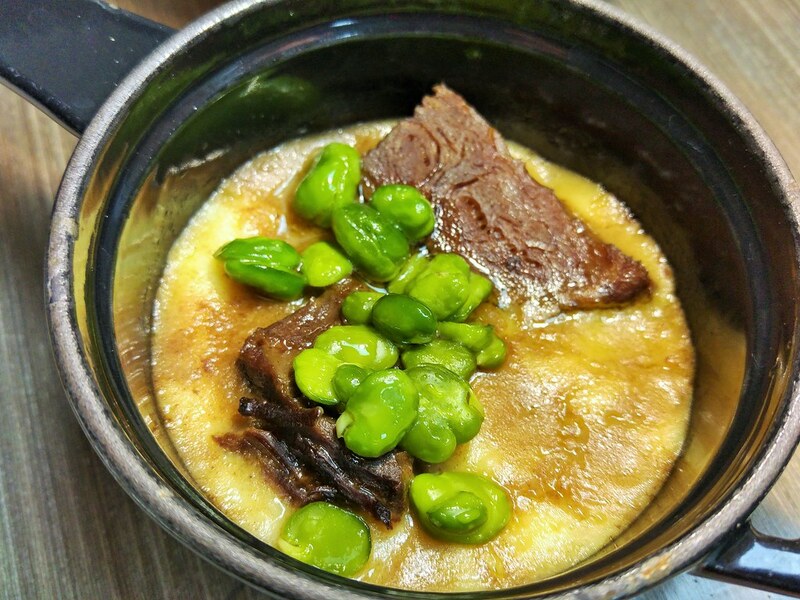 Priced at $98, the menu is inclusive of free - flowing juices, soft drinks and D.I.Y. Bloody Mary cocktail. Those with a preference to ease over bubbles, wines or beers can go for the $138 option for unlimited pours of Perrier Jouet Champagne, select wines and beers in addition to the juices and D.I.Y. Bloody Mary cocktail. All prices are subject to 10% service charge and prevailing government tax. 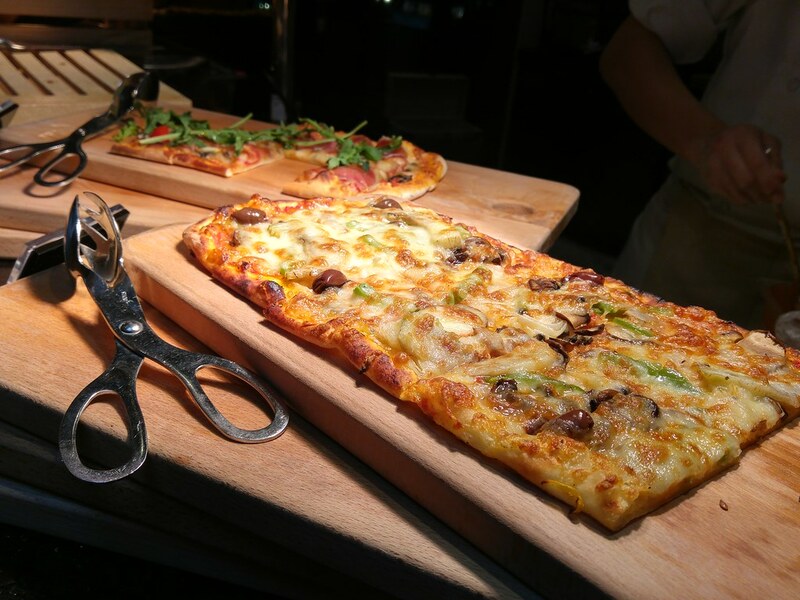 Main selections on the menu and items on the buffet line are subject to change with dishes replaced or additional rotations added.